Aside from the new Surface Pro, Microsoft has also announced a brand-new Surface Pen to replace the model that the company launched in 2015 alongside Surface Pro 4 and Surface Book. Just like the tablet, the digital pen might look like its predecessor from the outside but it also comes with improved capabilities. Among such improvement is the increase in pressure sensitivity to 4,096 level as opposed to 1,024 in the 2014 Surface Pen. At the same time, the 2017 Surface Pen also supports tilting which allows users to perform shading just like using a real pencil. Additionally, the new digital pen also has lower latency as compared to its predecessors at 21ms. Despite being design to accompany the new Surface Pro, the 2017 Surface Pen still supports previously released Surface devices including Surface 3, Surface Pro 3, Surface Pro 4, Surface Book, Surface Laptop (doesn’t support the tilt function though), and Surface Studio. 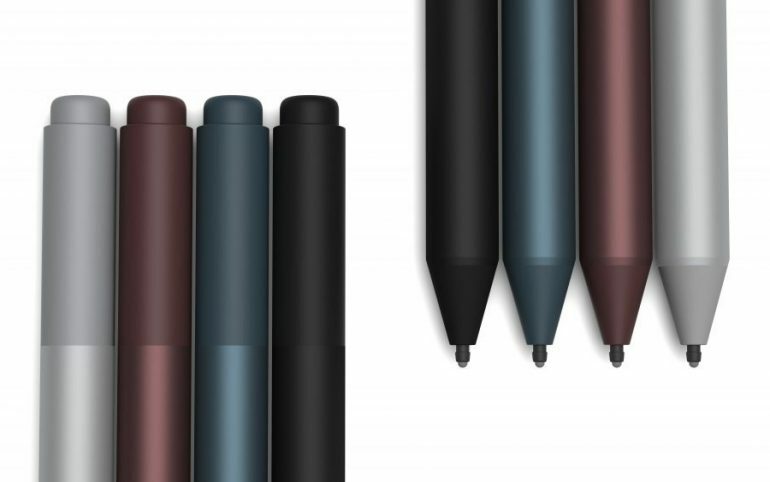 Available in platinium, black, burgundy, and cobalt blue colorway just like the new Surface Pro Type Covers and Surface Arc Mouse, the release date and pricing for the new Surface Pen in Malaysia are not yet known at the moment. In case you need a reference though, the new Surface Pen will be released in United States this June for USD 99 (about RM 426).